We are pleased to present our long awaited Outlook 2010/2013 plugin connector for Enapps ERP, completely written from scratch and available to our clients at no additional cost. Creation of new leads directly from Outlook and the ability to archive the e-mail against them as a new activity. Archive Outlook e-mails to our ERP against the contact (if more than one contact is found with the same address, you are then allowed to select the correct contact). Archive e-mails against any ERP transaction (invoice, sales, projects etc.). 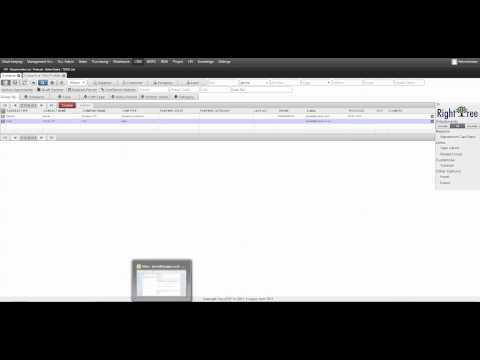 Archive e-mail attachments against any ERP transaction. Ability to trigger custom events after creation/archiving. Example: Attach a customer PO against the Sales order in the ERP and trigger the order authorisation, or send a CSV file from our ERP to ‘bank statements’ and launch an automatic matching of transactions from this CSV, which in turn can trigger the payments/reconciliation and finally e-mail a report of those matched transactions. To keep it simple and to the point, the quick introduction video below will tell all! New web-client/server revision – Marking a new level in business producti... Enapps ERP – New Redeveloped Dashboards.